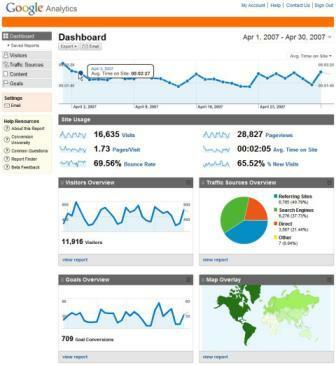 Google Analytics has released a new version of its analytics tool, complete with a new user interface, customisable dashboards and a new email reporting tool. Customisable dashboard - users can now add and remove data widgets. In addition, the way information is displayed has been improved, with clearer summaries of the data. Email reports – rather than logging in on a daily basis, you can schedule reports to be emailed to you or others. You can also export reports as a PDF. Improved graphs – allows you to compare time period and date ranges to plot trends over time. Contextual help tips – Google has added improved descriptions of the data to help less advanced users. It looks to be an impressive facelift for the service, with a far greater range of display formats than the previous version, it provides just about every piece of data you could need. While new users will get the new platform straightaway, the new version will be live on current Google Analytics accounts over the next few weeks, though existing users will still be able to use the old version for at least 30 days. Meanwhile, rival analytics service Sitemeter is relaunching, with new graphs and display options due to be added to the service.